Barbara Ann Amsdell (nee Seeley), age 76 passed away peacefully at Ames Family Hospice House in Westlake, Ohio on Thursday, August 10, 2017. She was the beloved wife of 54 years to Robert; dear mother of Jennifer (Conrad) Gerard, Todd (Mary) Amsdell, Kyle (Jennifer) Amsdell, Alyssa (John) Berry, Erin (Joseph) Carlone; grandmother of 17; sister of Linda (Christian) Bartel; daughter of the late Clarence and Mary Ann Seeley. 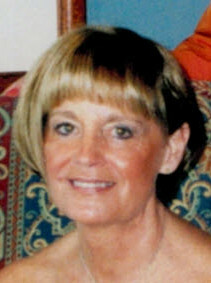 Barbara was involved in numerous philanthropic organizations. She served on the board of Fairview General Hospital for many years and was its first female board member. She was also a board member of Fairview Foundation, past president of Fairview Hospital Guild and Fairview Auxiliary Board; member of Jr. League of Cleveland and Womens Committee of the Cleveland Orchestra. Barbara was a Teacher at Bay Village Elementary School and taught Sunday school at Bay United Methodist Church. She was also a member of the board of Cleveland International Scholarship program. A memorial service will be held at 11AM Monday, August 21, 2017 at Bay United Methodist Church 29931 Lake Rd. Bay Village, Ohio. Lin Seeley Bartel and the entire family of Barb Seeley. Our hearts go out to all of you❤. LIN Seeley Bartel and The family of BARBARA Ann Amsdale, I want to send my sympathy to the entire families of Barb, she was such a beautiful lady inside and out. I have such fun memories of LIN Seeley’s older sister, we definitely idolized her, for being such a beautiful role model. I heart truly aches and breaks for the families.